Last January, when Creed director Ryan Coogler joined up with Marvel to direct Black Panther, it seemed unlikely that he’d have room in his schedule to make the inevitable Creed sequel. 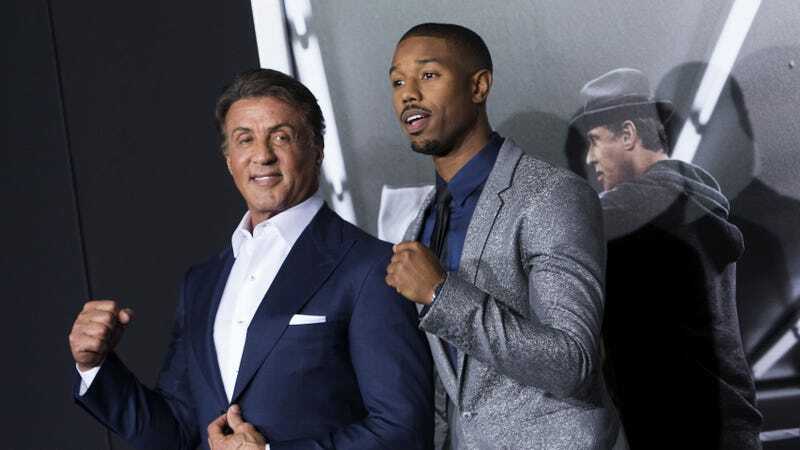 Now, /Film is reporting that Sylvester Stallone—who played supporting character Rocky Balboa in the first movie—has been tapped to direct the sequel. Stallone seemingly willed himself into this position, having spent the last few months posting regular Instagram updates about work on Creed 2, all without any official indication that he would have anything to do with the movie beyond reprising his role as Rocky (until now). With Stallone directing Creed 2, he’ll most likely be able to follow through on his many teases about bringing Russian baddie Ivan Drago to the new series. Dolph Lundgren might be a little old to break Michael B. Jordan, but he can probably train some new Russian hotshot to take his place.